Geoffrey Alley was an All Black lock and a farmer, and then became involved in adult education and library services. He became New Zealand’s first national librarian. Geoffrey Alley left school in 1921, to manage a Southland farm. 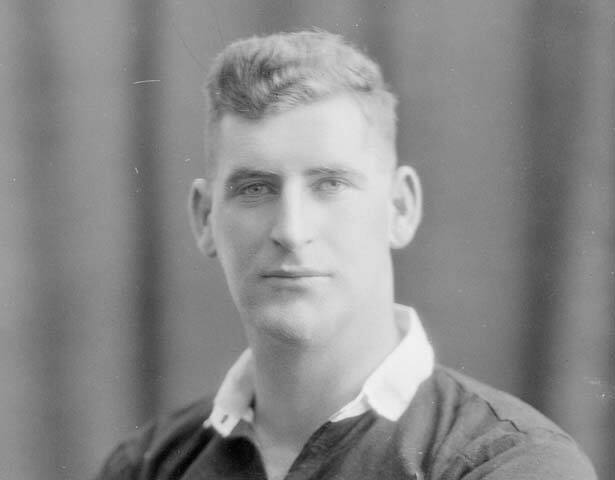 During this time his aptitude for rugby flourished, and in 1926 he was selected for the All Black tour of Australia, and then again for the 1928 tour of South Africa. It was in the scrum that his imposing physical strength proved valuable. Alley graduated BA in education from Canterbury College in 1929, followed by an MA with first-class honours in 1932. It was during this period that he began extending library resources to the country, in a van carrying books. In 1937, following his continued work with rural education, Prime Minister Peter Fraser was convinced that a Country Library Service was needed, and appointed Alley as its head. In 1945, the Country Library Service became the National Library Service, and Alley its director. For a decade, Alley also served as honorary secretary to the New Zealand Library Association. It wasn’t until 1963 that the decision was made to establish a national library, with Alley at the helm. In this role, he is said to have been determined and persistent, if somewhat difficult. Geoffrey Alley was made a fellow of the NZLA in 1955. He was known to hate references to his All Black career, yet he continued to attend reunions with his former team-mates, and publicly endorsed the ‘No Maoris, no tour’ campaign for South Africa in 1960. We have 15 biographies, 8 articles, related to Geoffrey Alley.